One of Chicago’s best Juice Bar vibes is on the city’s northwest side, at a friendly, low-key high-quality place called Be Juice’d. Founded by Kasia O and Helen P last November, it’s an artist and music friendly scene with an always growing following. One of the reasons is their popular Acoustic Sunday, when one of the many artists who frequent (and work at) Be Juice’d set up in the middle of the funky chic (“I’m funky, Helen’s chic,” explains cofounder Kasia O) cafe. 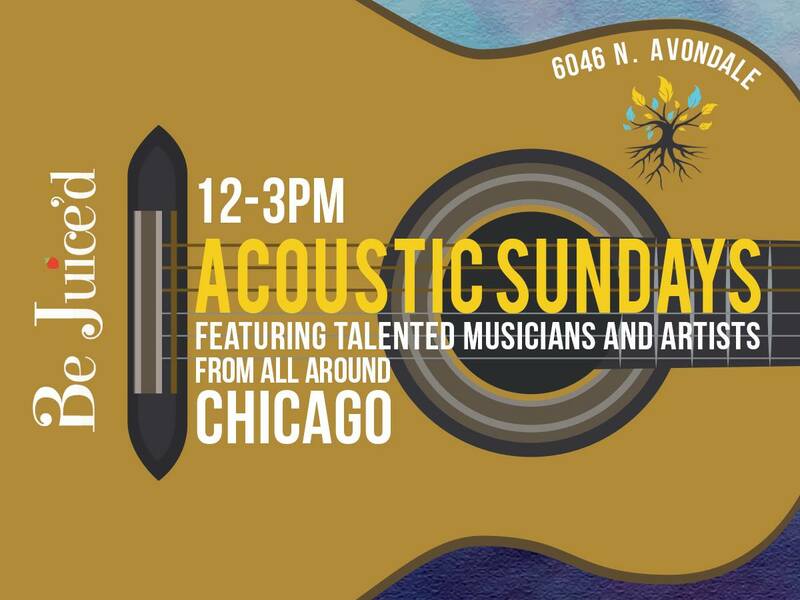 To find out more about Be Juice’d’s Acoustic Sundays, the best way is to check out their Facebook at facebook.com/bejuicednorwood, or probably even better, find your way to the Norwood Park neighborhood on Chicago’s Northwest Side, and spend some very good time at Be Juice’d.